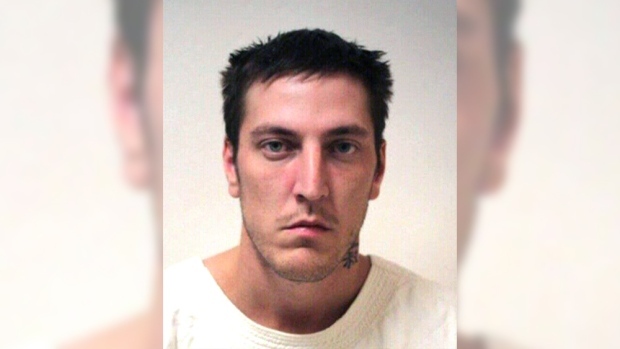 A manhunt is underway in Alberta, after an armed man helped an inmate escape while the prisoner was being transferred to a hospital. Peace River RCMP say Harley John Lay, 29, was taken from correctional officers at approximately 10 a.m. on Monday morning. Police say correctional officers were taking Lay from the Peace River Correctional Centre to the Peace River Hospital for medical treatment, when an armed man wearing a mask confronted them outside the hospital. Peace River is located about 500 kilometres northwest of Edmonton. The masked man, who was accompanied by another man who acted as a getaway driver, demanded the officers release Lay. The officers, who were unarmed, did not resist and let the prisoner go. Lay and the two other men took off in a beige Dodge minivan that was last seen on 74 Street in Peace River, possibly heading towards Highway 2. Lay, whose criminal record dates back to 2004, was being held in the Peace River remand centre on 16 charges, including assaulting an RCMP officer with bear spray, evading police, and unlawful confinement. His trial was scheduled to begin in May. Anyone who sees Lay is advised not to approach him, and anyone with information on his whereabouts or the incident is asked to call the Peace River RCMP at 780-624-6677. Anonymous tips can be submitted to Crime Stoppers by calling 1-800-222-8477.